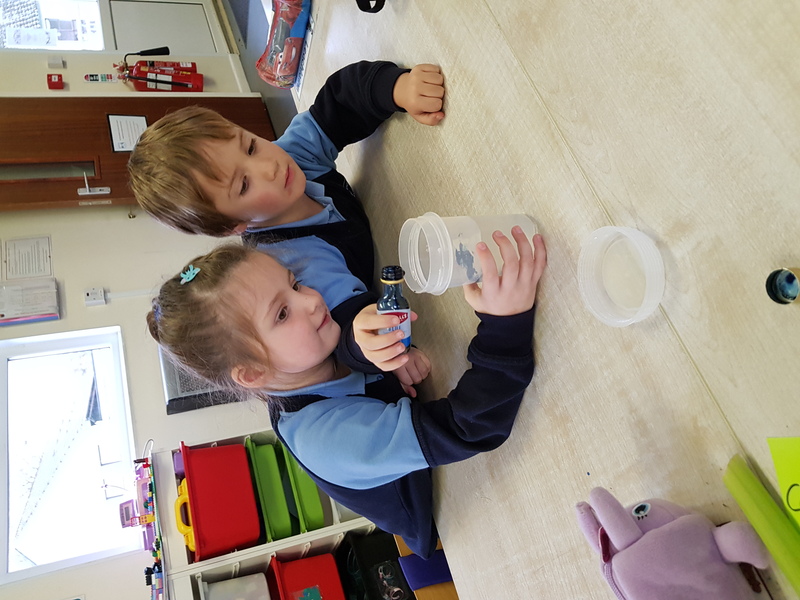 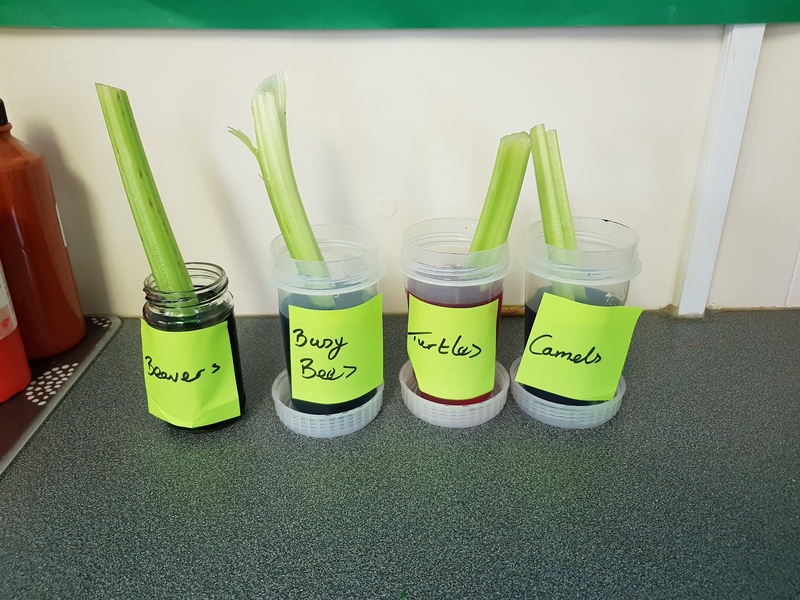 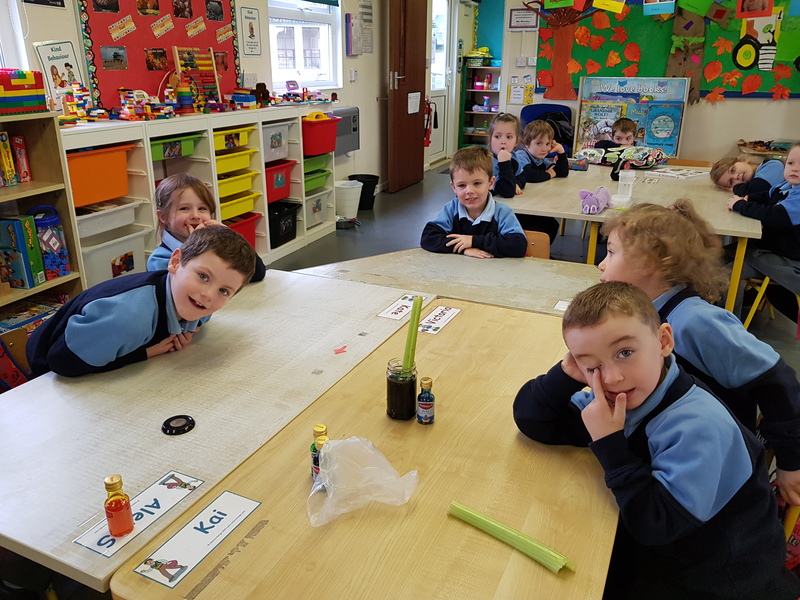 For Science Week, we did an experiment to see how water travels up through celery stems, the same way it would travel up through a flower stem. 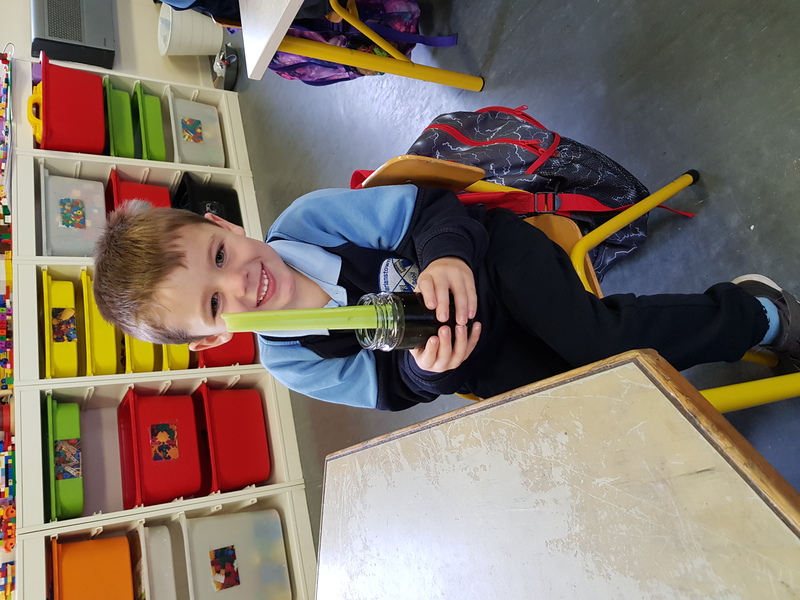 We put some water and dye in to a jar and then put the celery in to the jar. 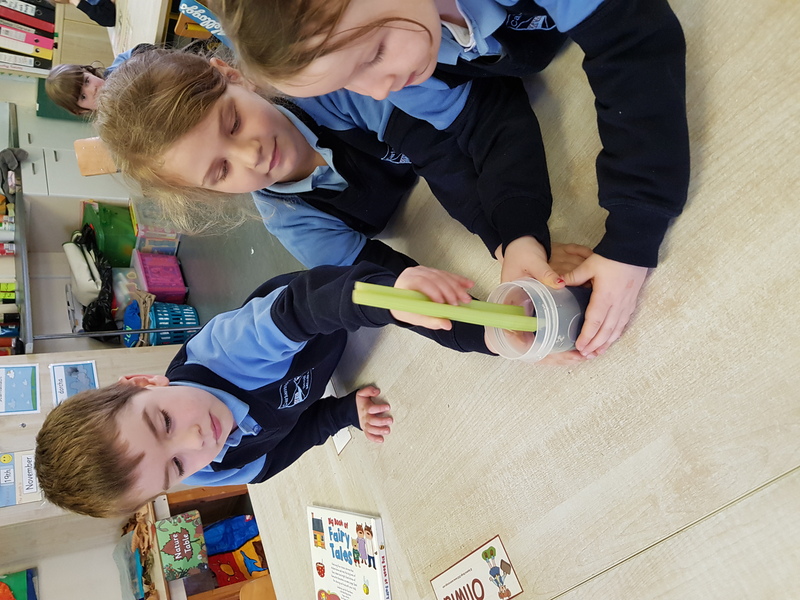 We check it each day and we can see that the veins in the stems show the colour of the dye. 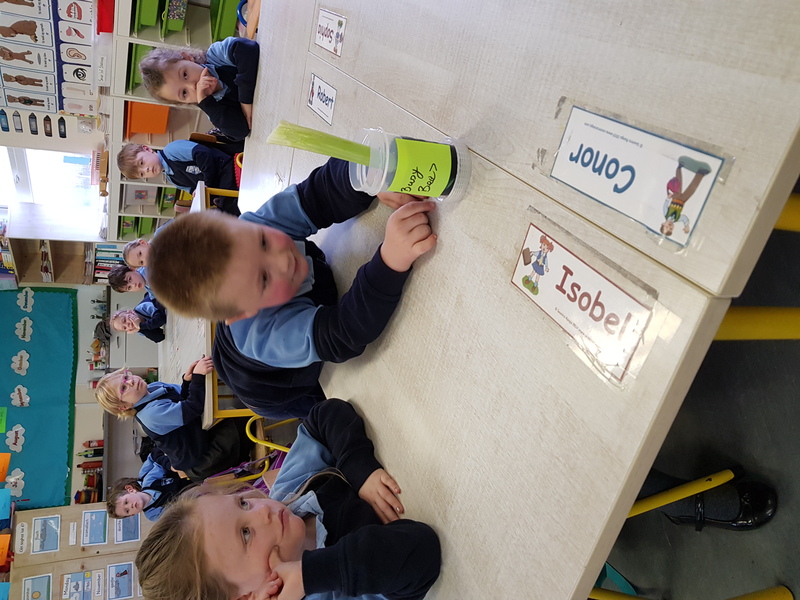 We know the celery is drinking the water, just like a flower would.